Once you have chosen a vehicle from our extensive inventory, and once you have taken it out on a test drive, your next step is to begin the financing process. Whether this is your first time purchasing a new or used car our financing team can help you through the purchasing process. Whether you are interested in leasing a new Hyundai vehicle, or you have your heart set on purchasing one, our team is here to help you every step of the way! One of the main questions we get pertains to the differences between leasing and financing. Further, many drivers want to know which option is best to choose for their budget. Not to worry — our team of experts are here to help you deduce which payment style is best for you depending on your driving habits, your budget, and your lifestyle. Furthermore, our expert financing team can answer any questions you may have so that you can feel that much more comfortable during the purchasing process! 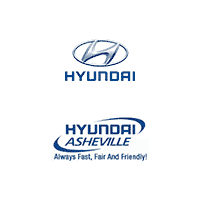 If you have any questions about financing a vehicle from our dealership, or if you would like to learn more about financing, in general, we invite you to stop by Hyundai of Asheville, located conveniently in Asheville, NC. Our team would be happy to assist you with all of your automotive needs so that you can experience the open road with the passion and agility required.